You may have a choice of courts in which to file your California personal injury or business claim. Should you choose state or federal court? Which county or state or judicial district? These choices matter because of differing procedural rules, local procedures, and jury demographics. For example, federal court requires a unanimous jury to reach a verdict (even in a civil case), but only 9 jurors out of 12 are needed to reach a verdict in California state courts. Next to an outright defense verdict, a hung jury is generally the civil defendant’s next best outcome. Since hung juries are more likely in federal court (you only need one hold out juror), a defendant may have a good reason to remove a case from state to federal court. Defendants benefit from federal court summary judgment procedures. In U.S. District Court, the shorter notice periods for bringing summary judgment motions generally favor defendants. With four to five weeks from filing to hearing in federal court, plaintiffs may not have a chance to conduct discovery directed at issues and points raised in the motion. In California courts, the opposing party will have at least 60 days before its opposition is due. During this time, the plaintiff may serve written discovery requests and take depositions if needed to shore up the evidence in support of an essential element of plaintiff’s claim. Finally, federal judges have more latitude to grant partial summary judgment concerning discrete issues compared to the narrow grounds for summary adjudication under the California Code of Civil Procedure. In state court, jury pools vary from county to county. Rural counties tend to provide more conservative jury pools, which often is reflected in defense verdicts or lower plaintiff’s verdicts. Urban counties generally are more plaintiff-friendly venues. But even within a metropolitan area, jury pools differ from county to county and courthouse to courthouse. You may have little choice about where to file your action. For example, consumer collection actions can only be filed in the county where the contract was signed or the county where the defendant currently resides. A defendant may have the option to remove a lawsuit to federal court, but the removal petition must be filed within 30 days of service of the complaint. Where there’s a choice, the decision where to file can have a large effect on the ultimate outcome of litigation. Consult with an experienced business or personal injury attorney concerning these strategic decisions. If you are a transactional lawyer, you would be well advised to consult with (or refer your client to) a litigator regarding these strategic litigation calls. For a free copy of our informative brochure, “The Top 10 Business Litigation Mistakes . . . and how to avoid them,” contact Newdorf Legal. 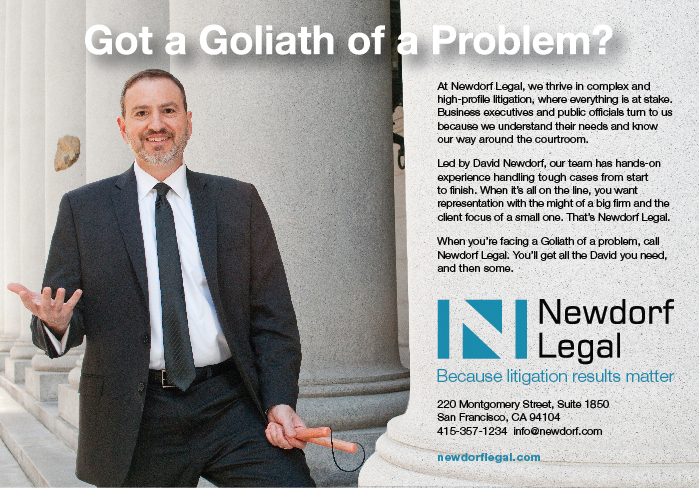 Call David Newdorf at (415) 357-1234 (or e-mail to info(at)newdorf.com) for all of your California complex litigation questions. 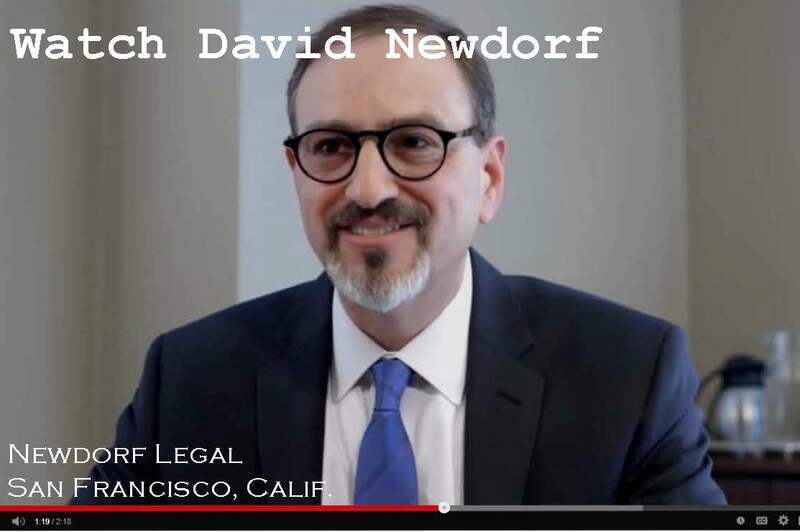 San Francisco business attorney David Newdorf helps obtain ruling from California Supreme Court that will save business and governments billions annually. SAN FRANCISCO (August 18, 2011 ) – The California Supreme Court ruled this week that court awards to accident victims for past medical expenses must be limited to the amounts actually paid and accepted as payment in full by medical care providers. The case pitted personal injury lawyers against doctors, hospitals, local government and insurers who urged the Court to adopt limits on court damage awards. The case is Howell v. Hamilton Meats & Provisions, Inc., S179115, decided on Aug. 18, 2011. San Francisco business litigator David Newdorf represented the League of California Cities as a friend of the court, or amicus curiae, in the case. The Supreme Court cited Mr. Newdorf’s brief in rendering its decision. Lawyers for accident victims had asked the Court to allow juries to award the full amount stated on doctor and hospital bills, even if the care provider accepted a reduced payment from insurance and neither the patient nor the insurance company was liable for higher billed amount. The doctors and hospitals would not be able to share in the increased recovery for medical expenses. The amount would be paid to the plaintiff and, under typical contingency fee agreements, shared with the plaintiff’s lawyer. The higher medical expense awards would have added several billion dollars to court judgments annually, according to insurance industry estimates. California cities, which are often viewed as “deep pockets” by personal injury lawyers, would have faced higher tort payouts at a time when vital services are already being cut. Founded in 1898, the League of California Cities is an association of 474 California cities dedicated to protecting and restoring local control to provide for the public health, safety, and welfare of their residents, and to enhance the quality of life for all Californians. To read the Supreme Court decision or Mr. Newdorf’s amicus brief., visit newdorflegal.com. Mr. Newdorf has been litigating this issue on behalf of clients since 2001, when he was appellate counsel in one of the seminal cases on medical damages, Nishihama v. City and County of San Francisco (2001) 93 Cal. App. 4th 298. The California Supreme Court decision in Howell affirmed the earlier decision in Nishihama. Mr. Newdorf is managing attorney of San Francisco-based Newdorf Legal, which represents individuals, businesses and public entities in trials and appeals. The firm’s practice areas include business disputes, business torts/interference with contract, breach of contract, breach of fiduciary duty, fraud, investment disputes, real estate, commercial landlord-tenant cases, and municipal law. 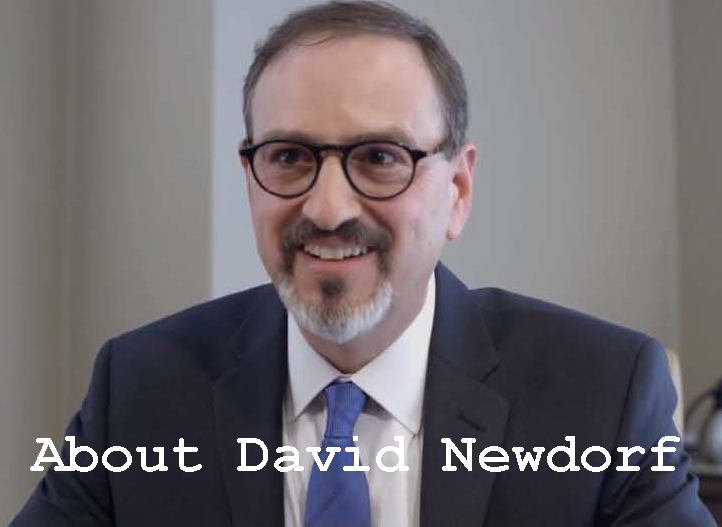 Mr. Newdorf worked previously as a trial lawyer and team leader in the San Francisco City Attorney’s Office and was a litigation associate at a major international law firm. Mr. Newdorf was recently listed in the 2011 Northern California Super Lawyers magazine, an honor reserved for 5 percent of the State’s lawyers based on nomination by fellow lawyers and evaluation of professional reputation and achievement. This week’s litigation tip expands on my article, “The Top Ten Killer Deposition Questions,” to provide ideas for basic deposition questions in a personal injury matter. The most popular articles on this website have to do with depositions, which shows how important this discovery procedure is in today’s civil litigation practice. Based on the most recent California court statistics, between 8 and 12 percent of civil cases filed go to trial. For the other roughly 90 percent of cases that settle or resolve through a dismissal or motion, the deposition might as well be considered the trial. “When did you first realize there was going to be an accident? Tell me how you knew an accident was about to happen.” This is a good opening question to set the stage. “What did you hear right before the accident?” If the police report, photos or accident reconstruction report shows skid marks left by any vehicle, that would produce a loud, shrill noise that could be heard for blocks around. “Describe how your body moved during the accident.” A detailed verbal description and/or the videotape of the deposition (if used) will be useful to a retained medical doctor, chiropractor, biomechanics expert or accident reconstructionist. Sometimes the plaintiff’s description may contradict the laws of physics (such as when plaintiff says he fell backwards following a sudden bus stop) or be inconsistent with other evidence. “What parts of your body made contact with what parts of the interior of the vehicle (or sidewalk or floor)?” You want to compare the purported points of impact with the medical evidence of the location of cuts or bruises. “Did anyone take photographs of your injuries?” Ideally, you should have obtained these photos in response to document demands before the deposition. Sometimes the plaintiff’s lawyer hasn’t done his or her job in gathering responsive documents, so you should always ask the plaintiff. “When did you first seek any medical treatment? How did you get there?” I’m always amazed how many accident victims call a lawyer before a doctor. And there was the bus fall-on-board case I defended once where the plaintiff stood up, announced he had changed his mind and “wanted to get paid,” and laid back down on the floor to wait for the paramedics. Meanwhile, he got out his cell phone and started calling law firms. “How did you find your doctor?” Often the lawyer has referred the client to a favored treater, who will take a lien on the case instead of payment up front. Many plaintiffs’ attorneys, however, frown on this practice. 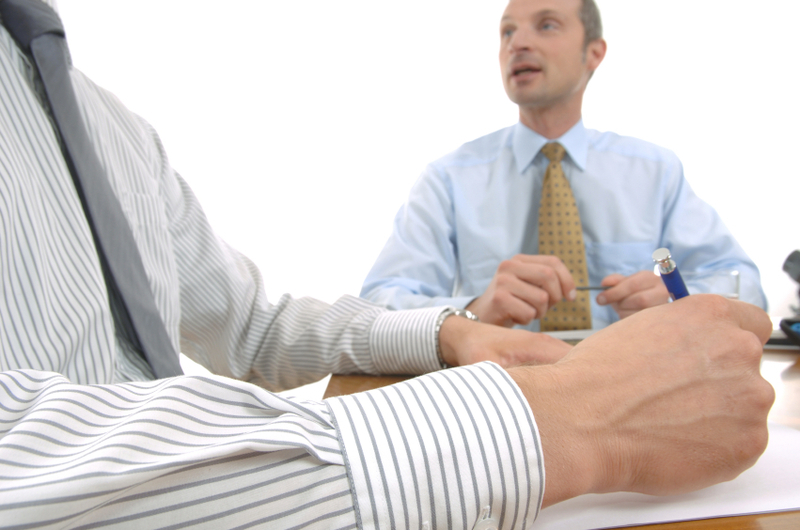 Preparing your client to testify at deposition can make or break a lawsuit. Defending your client’s deposition can be a nerve-wracking, sweaty armpit experience.At the end of the day, a weak performance or just one poor answer can sink a case. But even with stakes this high, most lawyers do not spend enough time preparing the client to testify. While the demands of your practice, your client’s calendar, or the legal budget for the case may not allow it, ideally you should spend at least two hours of preparation with the client for each anticipated hour of deposition. And sending your client home with a stack of documents to review is no substitute for the face-to-face prep session. Here is a basic outline and some tips for your deposition preparation session with your client. Start with the basic procedure. Let the client know the who, what, when and where of the deposition. Who will be present? Explain the role of the court reporter. Tell the client whether the deposition will be videotaped. Explain the oath. Go over the Q & A format. Explain that you may be stating objections for the record, but that the client will have to answer the question except in the rare cases when you instruct him or her not to answer. If this is the witness’s first depo, he or she will appreciate learning about the basics. The client will likely have some anxiety and letting hime or her know what to expect will lessen the unease. Give a sample admonishment. Come deposition day, it is likely that the lawyer who noticed the depo will start with a standard list of “ground rules.” Explain these and let your client hear a sample admonishment during the prep session. When the client hears these same standard instructions from the opposing lawyer at the beginning of the actual deposition, she or he will think “I’m prepared for this.” That will calm any jitters and allow the client to focus on what’s important. Don’t forget to ask your client during prep about medication he or she takes. Medical conditions can be a sensitive issue, and if your client is taking prescription medication, you don’t want to the client to be surprised and embarrassed by this common question. Explain how the deposition fits into the end goal of “winning.” Remember: the deposition is opposing counsel’s opportunity to learn about your case. If he doesn’t do a good job, is that our problem? Of course not. At the deposition of our clients, our strategy is defensive. I often use the analogy that the depo is like a game of “20 Questions.” If the questioner doesn’t ask the right questions, he loses. But the first instinct of the client — especially if this is her first encounter with the other side — may be to attempt to: (1) persuade the other side; (2) charm the other side; (3) argue with the other side; or (4) tell her entire story. It is your job in prepping the client to get her to resist any of these common traps. Cases are not won at the client’s depo, but they can be lost. Let the client know that this isn’t the time to “tell her story.” There will be other opportunities — including arbitration, mediation or trial. The best deposition answers are the ones that answer the question directly and briefly. For example, the proper answer to the question: “Do you know what time it is?” is either “Yes” or “No” — but not “10 a.m.” Why? Because the latter answer volunteered information that was not called for by the question — a basic depo mistake. Your client may protest that the deposition will take longer that way. No one wants to spend any longer than necessary in a depo, and your client may think: “I have nothing to hide. If I just tell the lawyer everything I know, we can all get out of here sooner.” Wrong! Every volunteered tid-bit will be written down by the opposing counsel and lead to another line of questioning. Though counter intuitive to most clients, you must emphasize that shorter answers lead to shorter, better depos. As for the last answer — “please rephrase” — tell the client to never answer a question he doesn’t understand. It’s the questioner’s job to ask understandable questions, and it’s dangerous to answer a question if one doesn’t know what it means. Explain the difference between “I don’t know” and “I don’t recall.” Some witnesses will overuse these two answers because they are easy. That mistake will come come back to haunt you at trial when the client’s memory and knowledge has been miraculously restored. Review important documents and all prior statements. During prep, you and your client should go over all of the witness’s own prior taped or written statements on the subject of the lawsuit. Deposition testimony that is inconsistent with prior statements can lead to uncomfortable cross-examination at trial. And in prepping for the depo, don’t just give your client a stack of documents to review in his office or at home. Having the client read them on his own — if he actually does it — is better than nothing, but not much. You need to read and discuss the important documents with your client. Practice Q & A. This is useful and should be done. But if you anticipate that your client will be vigorously cross-examined at depo, get another lawyer to deliver the tough practice grilling. For example, O.J. Simpson’s dream team — not lacking in cross-examination skills — brought in Berkeley criminal defense maven Cris Arguedas to do the deed. Why? Because being subjected to cross-examination isn’t fun. Even knowing that this is “practice” and you’re really on his side, your client could easily resent getting the third-degree from his own lawyer. Don’t forget to review the “Top 10 Killer Deposition Questions” with your client. Read my list of “killer” deposition questions in last week’s Lit Tip Of The Week. And prepare for other expected tough questions. Videotaped depositions. If you know the deposition will be videotaped, tell your client. Instruct your client to dress in trial attire. For men, that usually means suit or jacket and tie. For women, a dress suit. If your client has any distracting mannerisms (such as resting chin on hand or not looking at the questioner), tell her what they are and to resist them while on camera. Also, if the depo will be videotaped, warn your client not to turn and look at you before answering. This gesture makes the witness look like she is looking to her lawyer to tell her what to say. Every case is different, so consider these rules as guidelines. If you have a good reason to deviate from these suggestions — go ahead. But you should at least know and understand the conventional wisdom before altering it. One of the prime reasons to spend the time and money to depose an adverse witness is to gather impeachment material. Other than hiring a private investigator to delve into the witness’s past, the deposition is the most effective tool in the lawyer’s arsenal for uncovering dirt and chipping away at credibility. That includes attacking an eye-witness account, challenging an unfavorable opinion, exposing bias, and undermining believability. Yet most lawyers don’t ask all of the basic, open-ended questions that could help achieve their impeachment goals. In every deposition, there are questions tailored to the facts of the case, whether it is a business dispute or personal injury claim. But many (if not all) of these “killer” questions should be asked of adverse witnesses in every type of case. Many times you will strike out. That’s okay, because when you do connect with one of these questions, the result is likely to be a solid base hit – and occasionally a grand slam. The answers to these basic questions can be so damaging to the opponent’s case that the litigation will end on terms favorable to your client. And isn’t that the goal? “Have you ever been arrested?” (And the follow-up: “Have you ever been convicted?”) Opposing counsel may go ballistic on this one, but it is a proper question. Remember, felony convictions and any convictions for fraud, dishonesty or moral turpitude are generally admissible for impeachment. “Have you ever been deposed before?” I ask this at the beginning of the deposition, as part of the standard admonition, when it sounds like an innocent inquiry related to the ground rules for the depo. But if the answer is ”yes,” I always follow up later with questions about the prior deposition(s). I also ask the related questions, “Have you ever testified in court?” and “Have you ever been a plaintiff or a defendant in another lawsuit?” Prior testimony and lawsuits can be a treasure trove of accusations and impeachment. “Have you ever seen the [plaintiff/defendant/employee] before the events related to this lawsuit?” This question may uncover connections between a supposedly independent witness and the other side. “Did you meet with the other side’s counsel before this deposition?” Pin down the number of meetings, where they occurred and how long they lasted. This information can help dismantle the claim of independence. “Have you signed any written statements/made any recorded statements/spoken to any reporters about the events related to this lawsuit?” To this list, you might add: “Have you posted any statements about these events on any internet site?” Of course, you will have conducted a search engine and, perhaps, database query on the witness as part of your preparation for the deposition, so you’ll know if he or she is lying. “Did you read any witness statements or depositions, listen to any recorded statements, look at any diagrams or photographs, or did somebody else read you any statements before the deposition?” Okay, this is more than one question, but I had to combined them here to meet the 10-question quota imposed by the title of this article. “Tell me everything you did to get ready for this deposition.” The answer can lead you to what the witness or opponent perceives as his or her weak spots, including areas of which you were unaware. After all, it is only natural to prepare for the hardest questions or topics. Remember to find out the specific documents reviewed, places visited and persons met with by the witness. “Was anyone else present when you met with your lawyer?” If a third-party was present during the meeting, the witness may have waived the attorney-client privilege. “How did you find your attorney [doctor/chiropractor/therapist/expert]?” This can lead to interesting prior legal issues, lawsuits or self-interest/improper involvement on the part of opposing counsel. “Do you have your driver’s license with you?” If so, ask to see it. Take down the personal information and, if appropriate, read it into the record. That’s my “top 10″ — or so — general questions designed to uncover dirt. Remember, there’s more to taking a deposition than impeachment. For more depo tips, read Preparing Your Client For Deposition in Lit Tip Of The Week. For honing overall deposition skills, I recommend two courses: the National Institute for Trial Advocacy “Deposition Skills” Training (17+ hours) and Robert Musante’s “Take A Killer Deposition” (full-day course). I’ve taken both courses and received nothing in return for these recommendations.